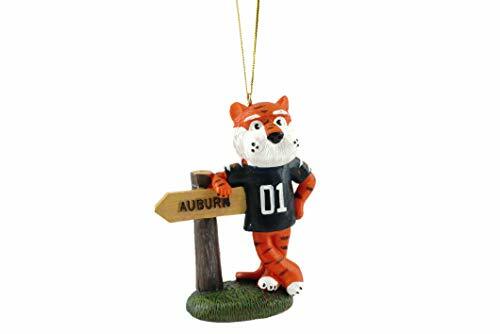 Show your Auburn Tigers pride with this fantastic team mascot ornament! Features Aubie, the Auburn mascot, wearing a team jersey and leaning on a sign pointing to Auburn. Made of resin and beautifully painted. Measures 4″W x 3″H. A great way to show your team spirit throughout the holiday season! A great way to show your team spirit throughout the holiday season!